So I've been rereading the Arduin books & getting into the back end of some campaign ideas when the latest BS in the OSR reared its head. Man, these things seem to come up every three seconds & so I headed back down memory lane a bit to Nineteen Eighty Nine. Its been a bit of a bumpy ride all of the way back there. 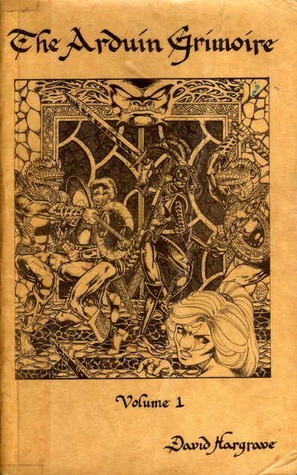 Advanced Dungeons & Dragons second edition was in full swing along with its prepackaged campaign settings. If you like second edition AD&D's campaign worlds then more power too you but for those of us into campaign building this wasn't the way. There were dust ups & such in letter columns in Dragon magazine, & various other hobby fanzines of the time. For me I felt like a fish out of water then. 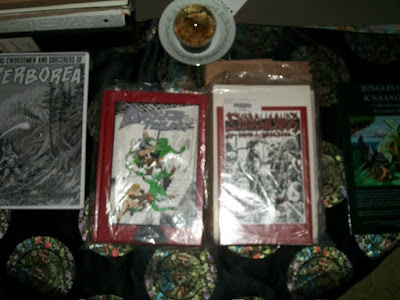 Sure I had Gamma World, Traveller, & a bunch of other classic TSR books to fall back on. 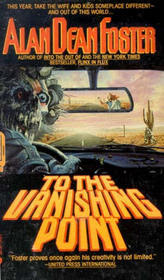 But three things changed this funk the first was I discovered Clark Ashton Smith, the second was the movie House II, & then Allan Dean Foster's To The Vanishing Point fell into my lap. I was literally taking a bus from my home town to the gaming store down in War & Pieces in West Hartford,Ct. in the back seat of the empty bus was this book. Its a very Eighties science fantasy book even back then & seems to have aged itself right into the same turf as the net flix show Stranger Things. The book has a light weight cosmology similar to Poul Anderson's chaos vs law material worked in with a bit of Dante's Hell on Chaos/Entropy's side. "It was just a boring drive through the Nevada desert. The Sonderberg family doesn’t know it yet, but this isn’t going to be any ordinary road trip. After they pick up up a beautiful unassuming young hitchhiker named Mouse, a quiet drive down Interstate 40 becomes a trip into an alternate reality -- a wild, careening ride down the exit ramp to Hell. It turns out the family has just given a ride to an alien who has the fate of the universe resting on her shoulders, who must find and heal the dying cosmic Spinner who controls the very fabric of reality. Now the Sonderberg family must fight evil alongside their new alien friend Mouse, a transdimensional alien, in a desperate attempt to save the world they love. Suddenly attacked by a demonic gas station attendant, axe-wielding rats and fire-breathing cops, the Sondberg family must become warriors in a now-mystical motor home and battle pangalactic diners, weird worlds, impossible voids, and brain-bending realms of madness. The fate of the world rests on the success of Mouse's mission." So what does this have to do with the classic Arduin Grimoire ? Well down at War & Pieces someone had an original Dungeons & Dragons game going on in full swing with bits & pieces of Advanced Dungeons & Dragons interspersed with Arduin. The premise of that game was this book?! The owner of the book had left it on the earlier bus. The lesson learned was simple. Just because the latest thing is out in the wilds of the rpg market doesn't mean that it has an effect on an on going campaign. The peer pressure of the market has no effect on what happens at the table. For the record, I gave the gentleman back his copy of Allen Dean Foster's book & grabbed my copy over at Walden Books. We fought hard against the forces of the 'Twenty One Hells' during that campaign. I learned a great deal of respect for juggling technology, gonzoness, & what really constitutes a 'monster'. We had PC's battling wizards raiding WWII battle fields, trolls taking on Dwarven fortresses, the destruction of Fairy mounds, & the end of timelines eaten bare by Chaos itself. We explored various dungeon locations & past shadows of the temporal war. We recovered artifacts, killed a few wizards, & generally got on with the idea of our PC's being heroes. Allan Dean Fosters novel remains on my shelf & gets read from time to time. The idea of an artifact having a life of its own & its essence being the anchor of a god's soul came directly from this Arduin campaign. 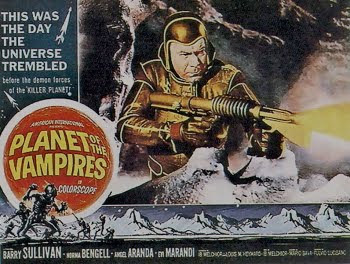 The movie House II used this in spades within its plot's adventure location. The Lion & Dragon rpg takes this occult idea & tosses it in a different direction. Now Rpg Pundit & I have had discussions via email about the fact that he personally separates gonzo rpging & historical campaigns. 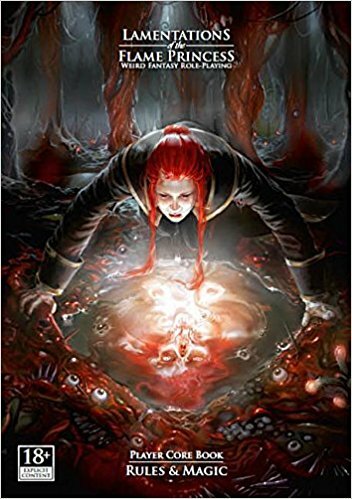 For me this idea didn't gell & the reason is because of the fact that Lamentations of the Flame Princess's adventures often used real world historical events as their background. But Arduin used the alternative Earth's, planes, etc. as part of their setting material. So early on I got the idea of learning & using history as a dungeon master to my advantage. The lessons I learned early in this hobby have stayed with me & I'm very thankful for the early kick in the pants that Dave Hargrave gave me. The truth is that today I often mix & match both OSR & old school resources. 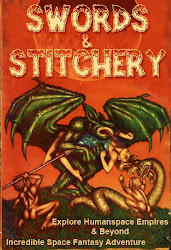 Next time Astonishing Swordsmen & Sorcerers of Hyperborea, Clark Ashton Smith, & Cats.